Do you remember Jurassic Park? When Dr. Malcom, the mathematician, shared his thoughts on why it’s unwise to have T-rex and friends romping around on an island, John Hammond promised that precautions were already taken to make sure that nothing will go wrong. Dr. Malcom replies with disagreement. “Life finds a way,” he said. Our last event, TEDxJakarta 11: Haphazard, talked about the excitement of uncertainty and unpredictability. While it seemingly stopped there, it continues here. Life finds a way indicates that we need to look even more close to acknowledge and respect the beauty of nature’s complexity and unpredictability. While its persona implies chaos or lack of rules, it just means that we haven’t revealed all of its underlying order, patterns, truths in systems that appear to be random. 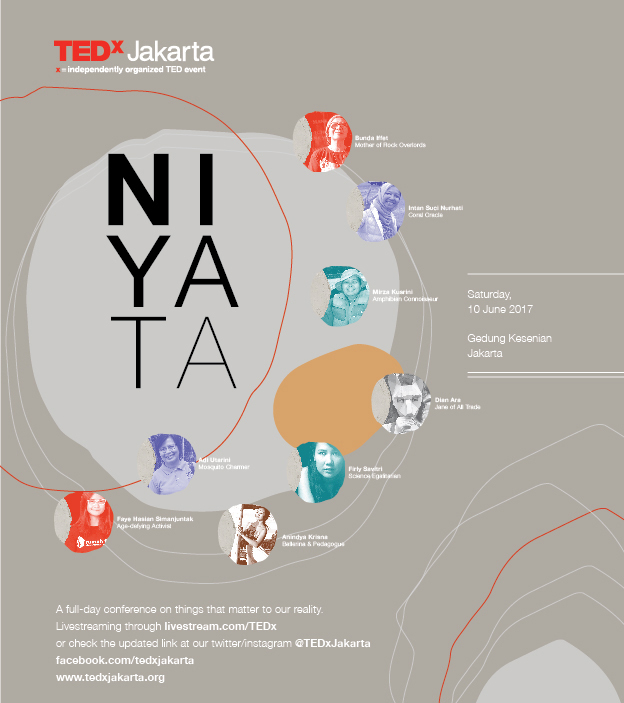 Niyata in Sanskrit is the root of nyata in Bahasa Indonesia, carries the meaning of being real, distinct, or true. 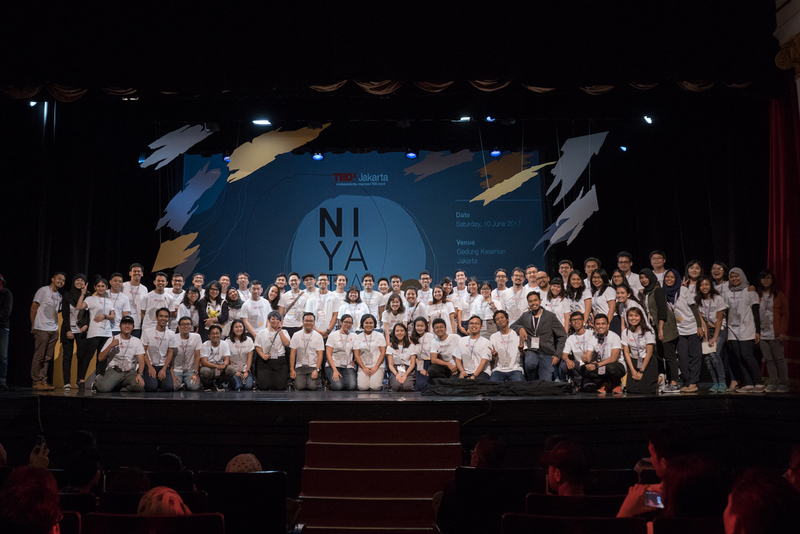 TEDxJakarta 12: Niyata evolves around the celebration of order, abides to the notion that even nature most often works in alluring patterns, precipitated by the sum of many tiny-yet-meaningful and methodical inflections. no haphazardness is lacking patterns, and no chaos is without order.